Q: I am looking to make homemade cheeses & need non-UHT (even non-pasteurized) milk. Has this milk gone through either of those processes? A: Hello and thank you for your question. I am sorry for the delayed response this ended up in my spam box. 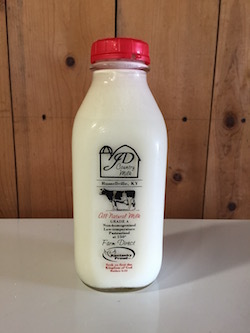 The milk has been low temperature pasteurized not UHT pasteurized. I hope this helps and answers your question. Have a great day!